Unlocking the Key Organic Vitamins & Minerals & High-Quality Ingredients that Target Health Benefits for Women. 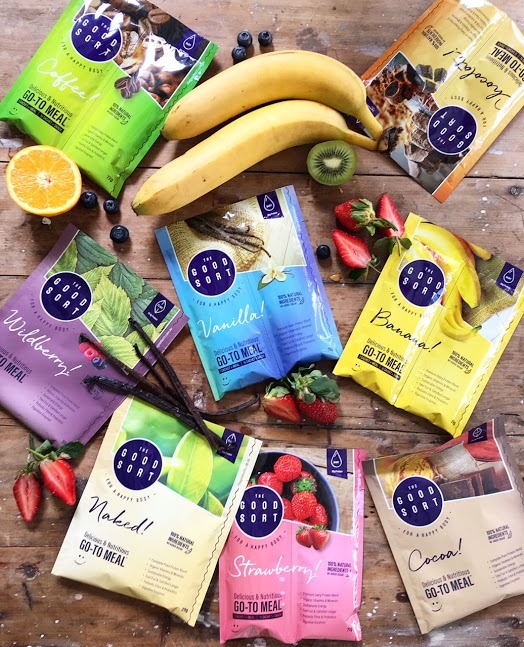 The Good Sort® is an all-natural Go-To Meal™ or snack, packed with high-quality ingredients including 14 key organic vitamins and minerals, patented probiotics, prebiotic fibre, digestive enzymes and MCT, targeting specific health benefits to balance your body and keep you energised for longer. With Australian consumers becoming increasingly mindful in their food and beverage choices, The Good Sort® has created a range of great-tasting nutritional shakes, combined with all the key nutrients women need on a daily basis to help achieve a healthy balanced diet and lifestyle. Australian women are looking for alternative, healthy protein sources with plant-based substitutes leading the charge. The Good Sort’s Naked! Go-To Meal™ is rich in plant protein offering a neutral, stripped down option with ultimate flavour flexibility to supercharge your morning routine! Available in three plant-based flavours including wildberry, cocoa and naked and five delicious dairy-based flavours including chocolate, strawberry, coffee, vanilla and banana, their products are free from added sugar, fillers, artificial colours or flavours, served in a convenient shake designed for women on the go.The Good Sort®’s powerful blend was created for women to gain better health, balance, instincts and self-confidence. According to recent research, the top three food and beverage trends for 2018 are convenience, health, and ethics. New protein sources are becoming increasingly important as more consumers make a conscious decision to eat less meat worldwide.In fact, more than two million Australians are now meat-free. The Good Sort® plans to address these trends and fast-paced movement by offering an on-the-go protein blend combined with essential natural ingredients, to ensure that your body will maximise the benefits of the protein and set you on the path to true long-term wellness. The Good Sort® uses all organic natural vitamins and minerals sourced from water-based extracts of fruits, vegetables and botanicals, where no synthetics are added and no fermentation or solvents are used in the process of developing. Research shows that when nutrients are delivered from a food source, they are absorbed and utilised by our bodies more effectively than when we consume those that have been created synthetically. Another key ingredient in The Good Sort® is Medium Chain Triglycerides, otherwise known as MCT. MCT is an oil the body burns for energy, rather than being stored as fat. Easily digested, MCT reduces sugar cravings and supports metabolic function resulting in better concentration and mental energy. The MCT used in The Good Sort® comes from processed coconuts, with no chemicals or fillers used – creating a shake with only the good stuff. Lee Holmes, holistic food and nutrition coach and best-selling author of the Supercharged Food Series, says there are many nutritional benefits to the general health of women.